Things have been going pretty well for Bryson DeChambeau lately. Last weekend the 24-year-old golf pro won the Memorial in a playoff over Kyle Stanley and Byeong-hun An. 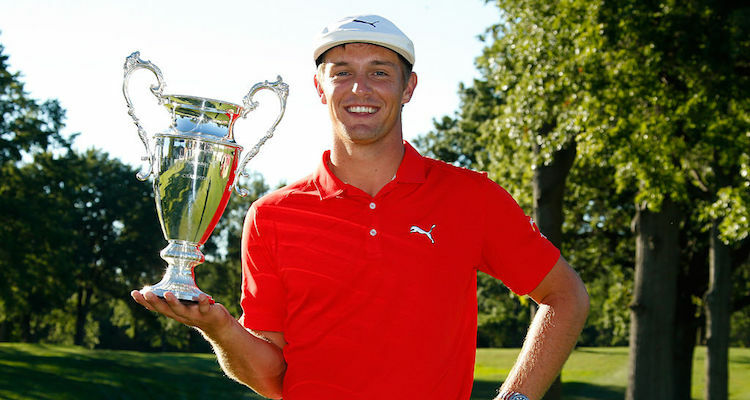 With 1st, 2nd, 3rd, and 4th place finishes over his last seven tournaments, DeChambeau is one of the hottest golfers on the planet heading into this weekend’s U.S. Open. That’s pretty nice. But there’s more! It also turns out that DeChambeau is giving Rickie Folwer a run for his money when it comes to having the hottest girlfriend in golf. As pointed out this week by the folks at Busted Coverage, Bryson DeChambeau appears to be dating Instagram hottie Sophia Phalen Bertolami. Ready to spend the day outdoors in this cooler weather! ☺🍂🍁🌲🌬 Hope everyone's having a great Labor Day weekend! Can you even imagine all the closeups Fox is going to give us of Sophia Phalen Bertolami if Bryson DeChambeau winds up in the hunt during the final round of the U.S. Open on Sunday?